At “The Copper Store” we have beautiful handmade hammered kitchen sinks and bathroom copper sinks to choose from. They are made in Central Mexico with the most excellent quality of copper. A copper sink is available through our website virtually in any size. Our copper sinks are handcrafted and are one of a kind. 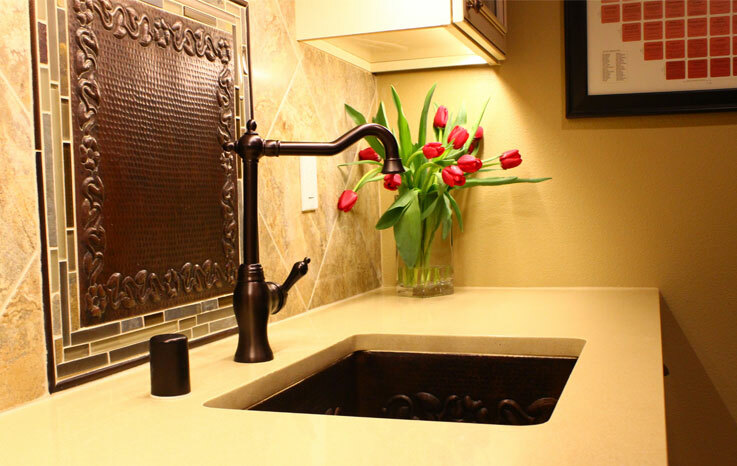 A bathroom copper sink or a kitchen sink are our specialty. You can choose from any of our quality copper farm house sinks or bathroom copper sinks.